Dr. Frank Preli is chief engineer of Materials and Processes Engineering Department for Pratt & Whitney, a United Technologies Corp. (UTC) company and a world leader in the design, manufacture and service of aircraft engines and auxiliary power units. He has spent over 35 years at United Technologies leading the development of technologies for aerospace and energy markets. Preli joined UTC in 1978 as an assistant materials engineer at Pratt & Whitney. He held positions of increasing responsibility, including manager of quality and business process effectiveness, manager of technology and production readiness, and manager of materials and mechanics engineering. 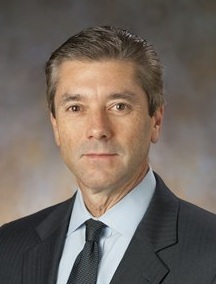 In 1998, Preli joined UTC Power Corporation, a world leader in fuel cell production and development for commercial, transportation, residential and space applications, where he was vice president of Engineering until his return to Pratt & Whitney in 2008. Preli earned his bachelor’s ('78), master’s ('85), and doctoral degrees ('87) in Chemistry from the University of Connecticut. He also earned an MBA ('93) at the university. Preli is an elected member of the Connecticut Academy of Science and Engineering. On April 15, 2015, Preli returned to the Chemistry Department at the University of Connecticut to deliver a seminar entitled, "R&D in a Product Development Company." Preli was also named the Chemistry's Department's 2015 Alumnus of the Year Awardee in recognition of his vast academic and professional accomplishments.